Use after a shower or bath, applying to wet skin under the arms. Alternatively, dampen the crystal and apply. Rinse the stick after use, and do not use on damaged or broken skin. The Faith in Nature Crystal Deodorant Stick - Natural - 100g product ethics are indicated below. To learn more about these product ethics and to see related products, follow the links below. Really good product, works very well! Really works, and is a fantastic price. The only complaint would be the plastic container, and how easily that breaks (and shatters the internal crystal) if dropped. I would happily pay more for a silicone or similar container, which might be refillable. Still, this is a great product. I like how it's natural and found it worked OK but wasn't massively impressed (though this may be because I'm not used to natural deodorant products). It is Better than some other natural deodorants though and I will continue to use it until I find one I prefer. 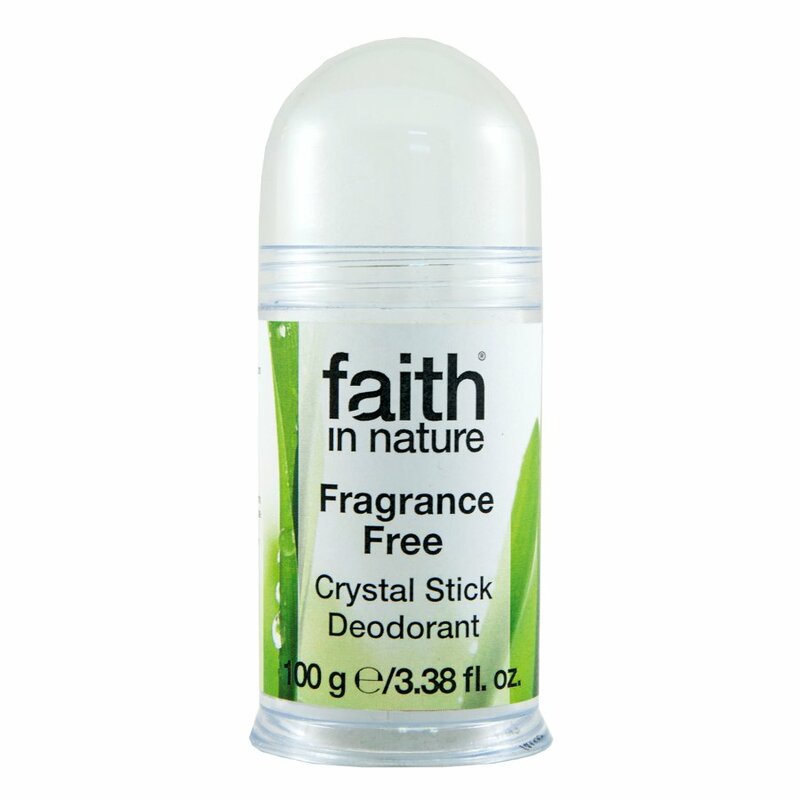 There are currently no questions to display about Faith in Nature Crystal Deodorant Stick - Natural - 100g.